A few weeks ago, we reviewed the new Reloop Terminal Mix 4 and found that it was a very solid controller with some of the best jog wheels we've ever used. Now, Reloop has released it's little brother and two-channel edition of the same controller for those who don't necessarily need four decks of control. The Reloop Terminal Mix 2 has that same metal build quality and full-size jog wheels as the TM4, but it's more compact and a bit simpler with less controls. The HD-Video review will be released shortly, but watch my unboxing/first impressions video to see it up close and personal. Reloop has just announced their new four-deck flagship controller called the Terminal Mix 8 at this year's NAMM show. 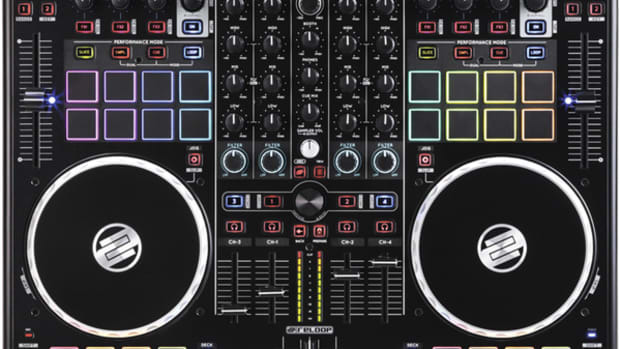 The Terminal Mix 8 looks to have much of the same DNA as the successful Terminal Mix 4, while adding 16 Multi-color back-lit Velocity Sensitive Performance Pads for functions within Serato DJ such as hot cues, loops, samples, and slicer. The pads can also be divided into two parts so the user can use the top row of pads for one function such as loops while the bottom row of pads can control another function such as hot cues. The Reloop Terminal Mix 8 is the newest and top-tier Four Deck Digital DJ controller with a very high quality build, smooth-oversized jog wheels, and an intuitive 16 Performance Pad section that control popular features like hot cues, loops, slicer, and sampler. 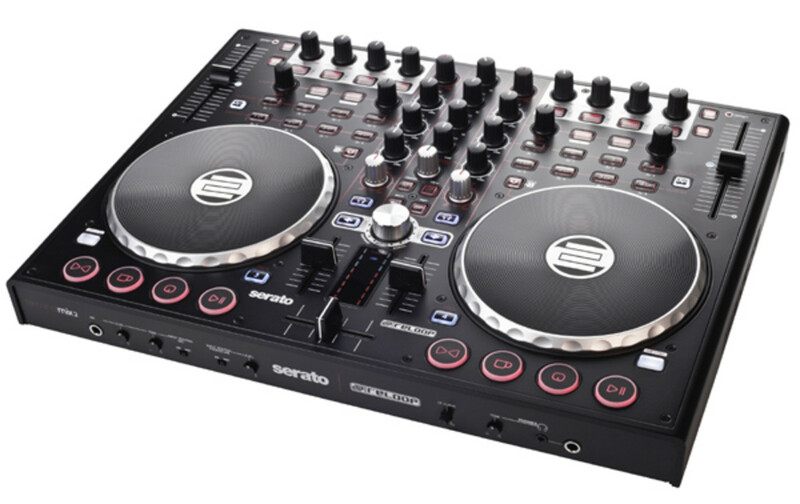 The Terminal Mix 8 also comes bundled with the full Serato DJ software that unlocks all of the potential of this powerful controller straight out of the box. Our review of the TM8 was well received and now Reloop themselves have put out a three part tutorial series that will show users some of the advanced features on video. The Reloop Terminal Mix 2 Digital DJ controller Free Giveaway Contest is NOW OPEN! We reviewed the all-new Reloop Terminal Mix 2 last month and we found that it was a great compact controller with excellent jog wheels and faders that's housed within an all-metal chassis. We enjoyed the controller so much that we've decided to pass the love along to one lucky winner of our Reloop Terminal Mix 2 Free Giveaway Contest. All you have to do to enter is simply follow me on twitter (@DJblaze_DJbooth) from now until Friday August 17th, 2012 and the winner will be announced on the following Monday Morning. Details inside. The Reloop Terminal Mix 8 is a great Four-Deck Digital DJ controller with excellent build quality, smooth-oversized jog wheels, and the familiar Serato Performance Pad sections that control popular features like hot cues, loops, slicer, and sampler. 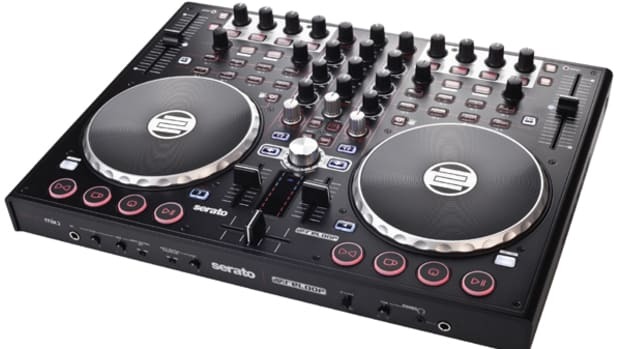 The Terminal Mix 8 also comes bundled with the full Serato DJ software that unlocks all of the potential of this powerful controller straight out of the box. Our review of the TM8 was well received and now Reloop teams up with DJ Cable to show the masses how to put it down Trap style on the TM8! The new Reloop Terminal Mix 8 Flagship Serato DJ controller was just announced two days ago at the NAMM show in California and we've already acquired one for a review in the DJbooth.net Lab. The Terminal Mix 8 The Terminal Mix 8 has much of the same DNA as the successful Terminal Mix 4 we reviewed last year, while adding 16 Multi-color back-lit Velocity Sensitive Performance Pads for functions within the Full Serato DJ software such as hot cues, loops, samples, and slicer. 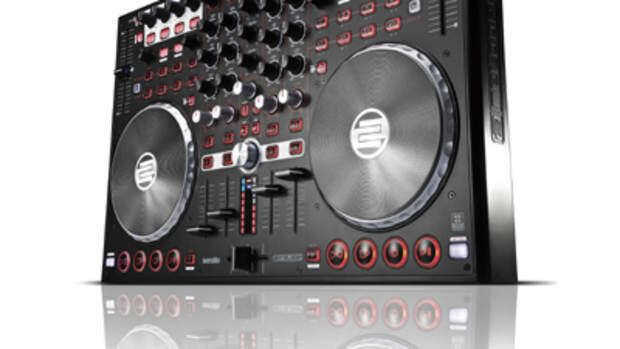 The Terminal Mix 8 comes bundled with the full version of Serato DJ so users can really take advantage of all the machine has to offer. Check out our unboxing & first impressions video and stay tuned for the full written and video reviews coming soon.